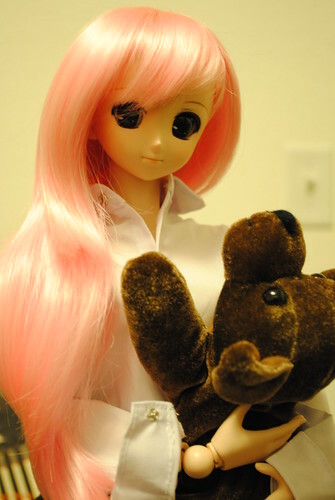 I think Nanoha is the cutest dollfie musume ever. My friend tells me it's just my parent bias, nonsense I say. I got my self a DSLR camera, a Nikon D3000. I read that it was a good and relatively cheap entry level DSLR. Finally got myself to start messing with the settings to see what kinda of pictures I can produce. Right now I'm at cross road, I feel like redoing my previous figure photo shoots but probably should just move on to the other figures I own. Well, at the very least I will redo Shiki, my digi cam failed miserably at picking up the beautiful details on her kimono. Hmm...come to think of it, the title has not much to do with this post...other than being a fact.